After a long wait, Samsung has officially unveiled the Galaxy M-Series of smartphones in India which are focused toward the young millennials. The company claims that these smartphones are designed and developed while keeping Indian consumers in mind. 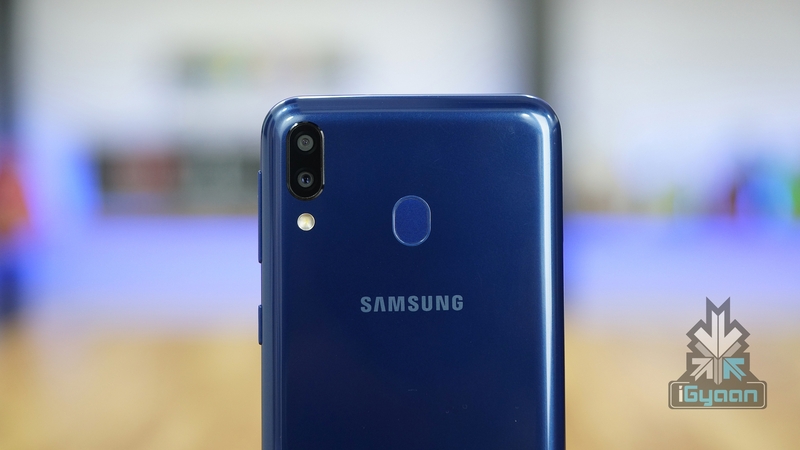 Samsung has initially launched two smartphones which include the Galaxy M10 and Galaxy M20. Both smartphones are laden with good features and have a modern design. Out of the two newly launched smartphone, the Galaxy M10 is the more affordable and less feature-rich device. 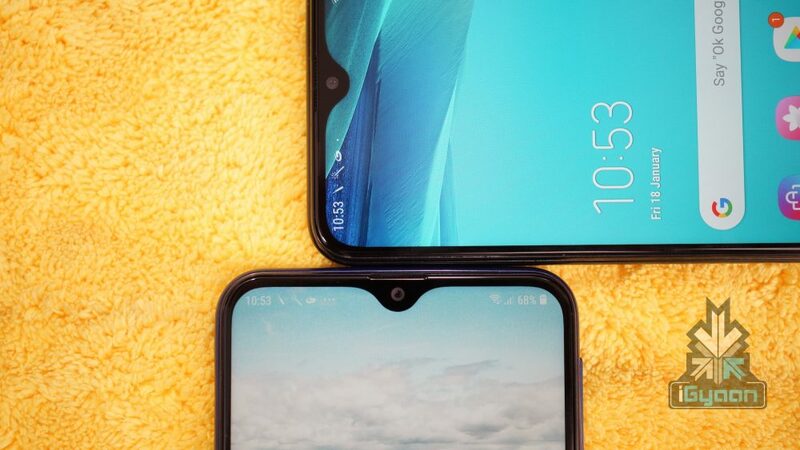 It has a 6.2-inch PLS TFT display with a small waterdrop notch up top and a pixel density of 1480 x 720 px. The device runs on Android 8.1 Oreo and is powered by a 3,400 mAh battery. Samsung has promised Android 9 updates with the One UI for both phones. For photography, the device has an f/2.0 aperture equipped 5 MP front sensor and dual f/1.9 aperture equipped 13 MP + f/2.2 aperture equipped 5 MP rear camera sensors. The device can also capture 1080p videos at 30fps from both the front and rear camera sensors. Under the hood, the Galaxy M10 packs the Exynos 7870 SoC which consists of and Octa-Core CPU and Mali T830 MP1 GPU. In terms of connectivity, the smartphone supports 4G VoLTE, 802.11 ac Wi-Fi, Bluetooth 4.2 and a bottom mounted Micro-USB port for charging and data transfer. 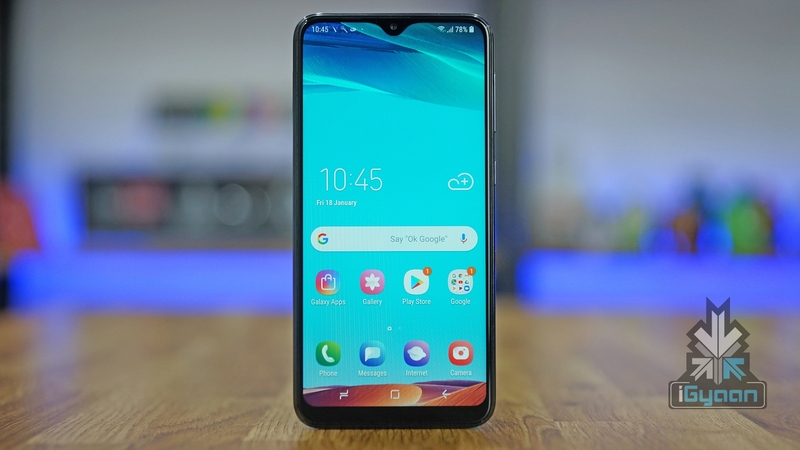 The Samsung Galaxy M20 is the more expensive and feature-rich out of the two newly launched devices. On the front of the device sits a 6.3-inch PLS LCD display with a pixel density of 2340 x 1080 px and a small waterdrop notch up top. The smartphone is powered by a mammoth 5,000 mAh battery which also supports fast charging. Like the Galaxy M10, it also runs on Android 8.1 Oreo. The Galaxy M20 is kitted with an Exynos 7914 SoC which consists of an Octa-Core CPU and Mali G71-MP2 GPU. 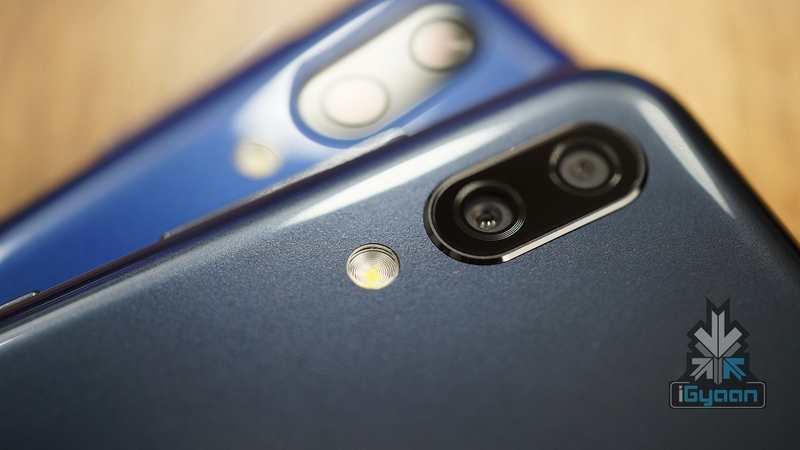 For photography, the smartphone has an f/2.0 aperture equipped 8 MP front sensor and dual f/1.9 aperture equipped 13 MP + f/2.2 aperture equipped 5 MP rear camera sensors. 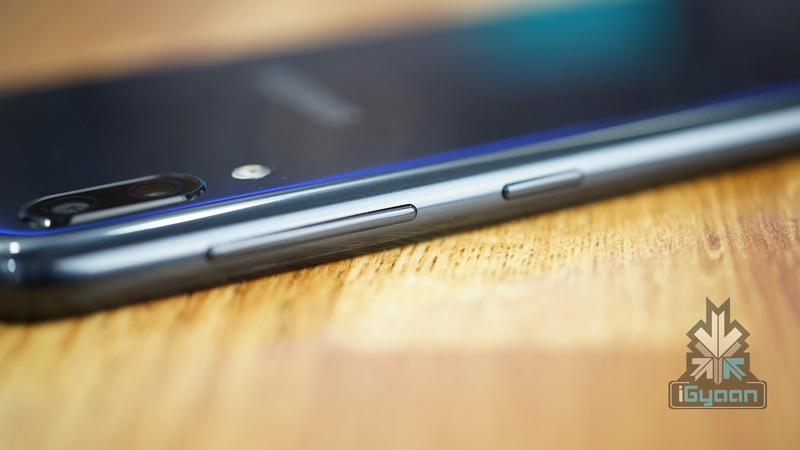 It can also capture 1080p videos at 30fps from both the front and rear camera sensors. Connectivity options on the device include Bluetooth 5.0, 802.11 ac Wi-Fi, GPS, NFC, 4G VoLTE and a bottom mounted USB Type-C for charging and data transfer. 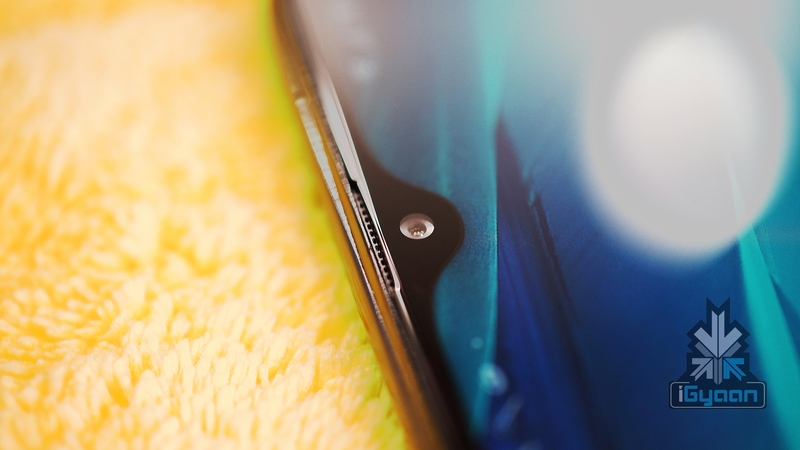 For safely and securely unlocking the device it features a rear-mounted fingerprint sensor.